In this show I talk about the importance of setting goals. It doesn’t matter if it’s for health and fitness, business or for personal reasons. 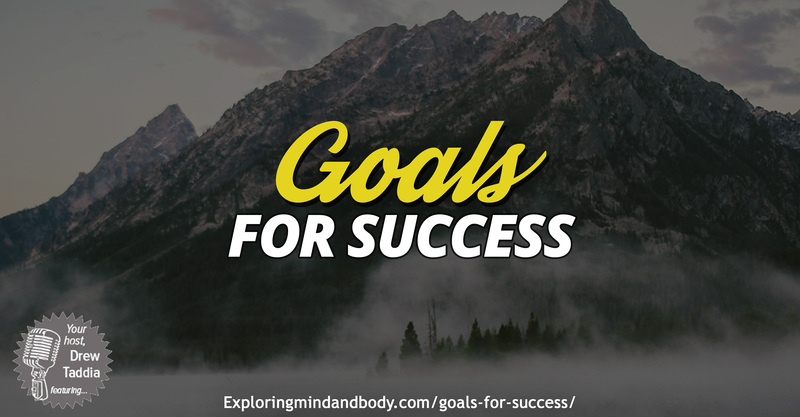 Setting goals makes a significant difference in how you go about what you’re doing if you have a goal with it. I’m a big fan of Danzel Washington, not just his movies but as a person. In one of his speeches I enjoy listening to as he encourages young actors and actresses, he tells them ‘Dreams without goals remain dreams which fuel disappointment’. We went on to say, ‘Goals are on the road to achievement’, ‘between goals and achievement is discipline and consistency. I love this speech and feel that we can all learn so much from it. Think about the things you’ve accomplished in your life, weather you know it or not, there’s usually a goal set with it. There’s usually a time line, it’s usually something that means a lot to you, and it usually is so difficult other don’t believe you can achieve it (even a small part of yourself). Try setting a goal if you don’t on a regular basis, just try it and see for yourself the difference a goal holds over you. See how powerful setting your sights on something that means something to you is. It’ll change your life. This Show is brought to you by Puradyme, a company that is truly interested in improving your health! Don’t forget about our 10% off available for a limited time.